SQS is an independent software quality IT consultancy helping Energy Companies with IT change, with strong sector experience and with local experts supported by an international network. 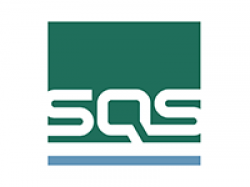 SQS has over 30 years of experience and a long, successful track record of partnering with Energy clients. We have managed large quality assurance projects for IT transformation projects within the energy and utilities space where increasing levels of regulation and compliance are accelerating the pace of change. SQS has a local presence in US, Europe, APAC and MENA.